It is with heavy hearts and great sadness that we say good by to one of the greatest petroleum geologists in Newfoundland and Labrador, Steve Millan. Often found with his wife Brenda, Steve would pop up at events, conferences and exhibitions, with always have the most astute and visionary things to say. A man of contribution and a wealth of knowledge his pioneering spirit will be deeply missed. In 2006, Steve Millan was honoured with the NOIA Outstanding Contribution Award for a lifelong commitment to the development of petroleum resources in Newfoundland and Labrador. Well deserved this man gave a lifetime of experience and knowledge to the thing that moves us all – energy. Originally from Trinidad, Steve was known for travelling the world. Steve lived in Dublin in the early 1950’s and was married there to Brenda Millan on December 13, 1958. As a professional geoscientist and alumnus of University College Dublin, this foundation supported his career which spanned 50 years in the oil and gas industry in Newfoundland and Labrador, Canada and around the world. Steve’s involvement in the oil and gas industry began in 1969 and over the last 36 years he’s been instrumental in bringing the offshore sector to fruition. A former vice president of Frontier and International Exploration for Petro-Canada and former Executive Director of the Newfoundland Petroleum Directorate, Steve served on numerous industry, university, governmental and professional boards and committees and has extensive oil and gas experience in Canada and in some 26 countries worldwide. Steve’s first position in the petroleum sector was in 1963 with Texaco. From there he worked with BP in Calgary and went on to work in the prairies, the Mackenzie Delta, the Beaufort Sea, the Arctic Islands and eventually found his way to the plays of offshore Newfoundland and Labrador. Past Premier of Newfoundland and Labrador, Frank Moores engaged Steve to head up an oil and gas management group for Newfoundland and Labrador. He was offered the post as the province’s Director of Energy Resources and moved his family to St. John’s, Newfoundland in 1973 to execute a plan for the resources of the region. The work entailed both the technical side of managing the province’s oil and gas resources and the policy side of developing a philosophical framework and principles for resource management. After spending several years as a provincial civil servant supporting the province’s petroleum potential as well as being Assistant Deputy Minister, Steve changed course to work on a United Nations project in Guatemala where he spent the next four years with the United Nations Development Project, the Commonwealth Secretariat and the Canadian International Development Agency (CIDA), working with developing countries to help them grow their petroleum industry management capacity. Steve’s portfolio included travelling worldwide to places like Pakistan, Barbados, Grenada, British Virgin Islands and Botswana. Returning home, Steve then set out to establish The Newfoundland and Labrador Petroleum Directorate which later became the foundation for the critical infrastructure needed for advancement with the Canada-Newfoundland & Labrador Offshore Petroleum Board (CNLOPB). 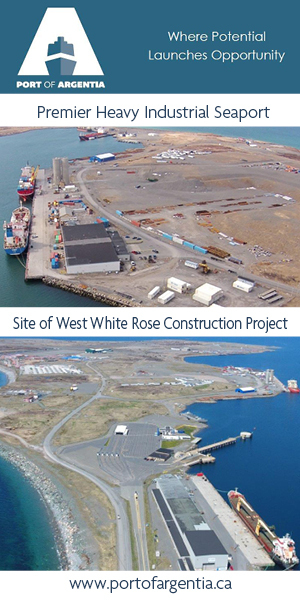 The Newfoundland & Labrador Petroleum Directorate began to address many of the resource management issues including land sales and the important task of local benefits. Steve then took on another new challenge, moving to Calgary to work as Petro-Canada’s Vice President of Exploration for Eastern Frontiers, which included Newfoundland and Labrador. He was then made Vice President of all Canadian Frontiers, including British Columbia, the Mackenzie Delta, Beaufort Sea and the Atlantic offshore as well as international work. Well suited for the position, Steve then went on to become President of the Petro-Canada International Assistance Corporation, a separate crown corporation which used Petro-Canada people and facilities to help developing countries with oil and gas management. In 1988, Steve once again found his way back to Newfoundland and Labrador and worked with NortTek Engineering. This company was bidding for Hibernia development engineering. He then became an associate director of C-CORE and then was engaged with Telemedicine and Distance Education at Memorial University. With a colourful career and a world of experience, Steve returned to his roots. In the late 90s, Steve’s attention was drawn to his early interest in oil exploration and discovery on the western coast of Newfoundland. Steve said, “I’ve made a lot of money for a lot of people finding oil, why don’t I do something that’s closer to home and hopefully make some money for myself”. By picking up acreage with Hunt Oil, Steve worked on the Port au Port Peninsula. A frontier area in its exploration phase that he hoped would have held the riches he sought. He became President & CEO of Canadian Imperial Venture Corporation (CIVC), an independent Canadian-based energy company with interests in petroleum exploration and development in western Newfoundland and in western Canada. The goal was to explore and to establish economic production of oil on the west coast of Newfoundland but it was an endeavour which didn’t come to its completion. Some would think it’s a shame that Steve didn’t actualize on this dream but as you look closer at the life of a true pioneer you begin to see that, for a “true pioneer” it’s never really what you find that’s important – it’s the pursuit of what you “might find” that defines your life as a pioneer. He was a pioneer within himself, to his family, to our province and to the world. A lifetime of advancement that touched so many, Steve is looking down on us now smiling and knowing he made the world a better place. We are so grateful and we send love and warm wishes to all of those who loved you and miss you now.